Welcome to the Isle of Beauty; an idyllic and truly spectacular mountain jutting out of the glittering Mediterranean sea! Spend six days taking in the views of the limpid turquoise waters of the Gulf of Porto (and swimming in them), and exploring the the Piana calanches (rugged coastal rock formations), the Scandola Nature reserve (by kayak) and the magical Girolata Bay area. Together these form the Gulf of Porto World Heritage Area. In early summer enjoy the flowers and the refreshing swims, in late summer pick fruit from the trees and kick out into the warm sea. 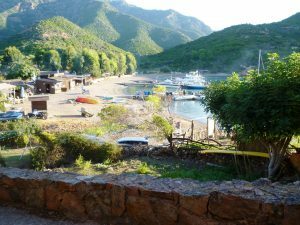 Corsica's independent spirit shines through - the distinctly Italian influenced culture (and language) give the island a distinct identity, neither French nor Italian but resolutely pleasure seeking and Mediterranean. Our trip combines yoga, walking and kayaking in this wonderful area. Where: Corsica, the island of beauty! 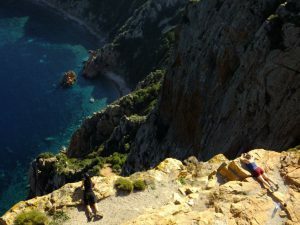 What: The best of Corsica - both the mountains and its beautiful coves along with yoga each morning & evening. 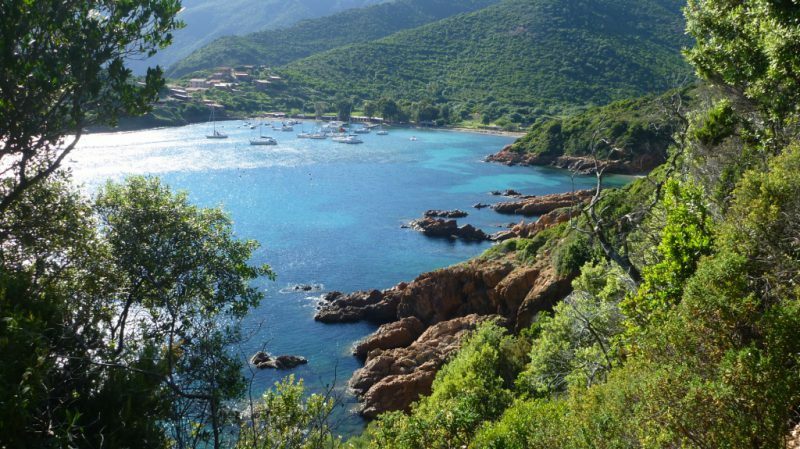 Why: To discover Corsica on foot and take it all in slowly. Price: 1050€ pp depending on group size. 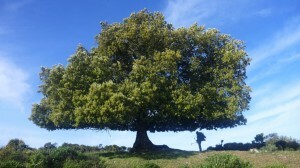 This includes six nights half board accommodation with picnics and all guiding. 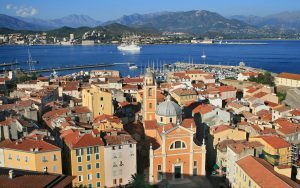 Day One (Sat May 27): Arrive on the overnight ferry from the mainland into Ajaccio, or via other means. We will establish a meeting point for the group and then catch the bus to Piana, which belongs to an association of the most beautiful villages in France. We have a short walk up through the village to the Eco Lodge, situated at the top of the village, where we will spend the next three nights. Here our hostess aims to serve organic veges from the garden where possible, and provide good healthy food. Day Three (Mon May 29): Yoga and breakfast, and then out the door for a short taxi ride to the trail head. 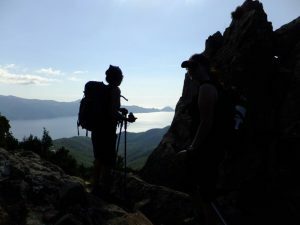 We hike out along the peninsular to the Capu Rossu which is topped with an old fort. More than spectacular views in all directions. Either beach or back to Piana depending on group desires. 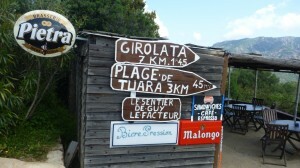 Day Four (Tues May 30): We walk from Piana down to Porto (2h) and take a taxi boat across the Gulf of Porto to Girolata. Girolata, or Ghjirulatu in Corsican, has been designated as a UNESCO World Heritage site, and is accessible only by foot or boat. Our accommodation is right on the beach and we have our yoga site on the helicopter pad! Day Six (Thurs Jun 1): Today we have a either a relatively short walk across to the Tuara beach and back along a lovely coast track, or we can go further up along a ridge line for more wonderful views. Afternoon kayaking or snorkelling around the Scandola Nature Reserve and its rich ochre cliffs. Day Seven (Fri Jun 2): Water taxi return to Porto to connect with bus to Ajaccio. There is also a bus to Calvi if you would prefer to leave Corsica from there or Ile Rousse. Night in Ajaccio or Calvi at your own charge or ferry out.